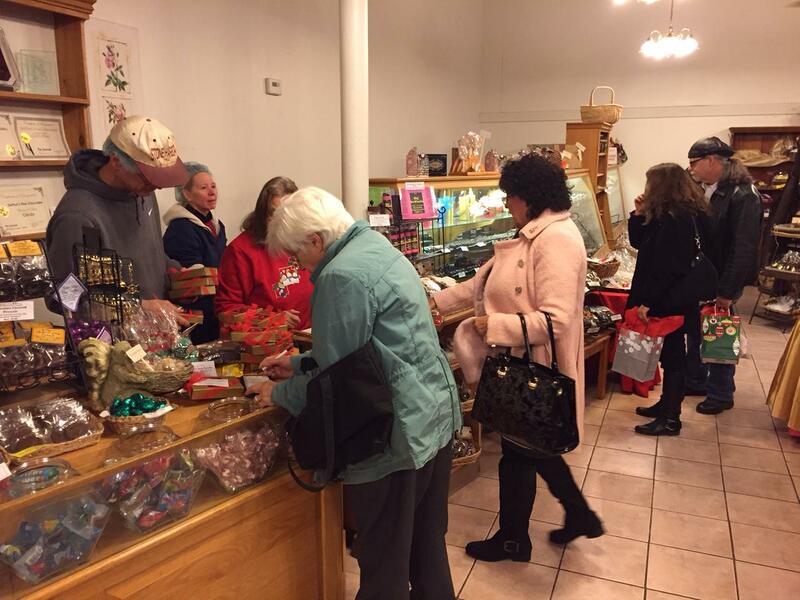 A line of people purchasing candies at DeFluri's Fine Chocolates in Martinsburg. Some of the chocolates in DeFluri's candy case. 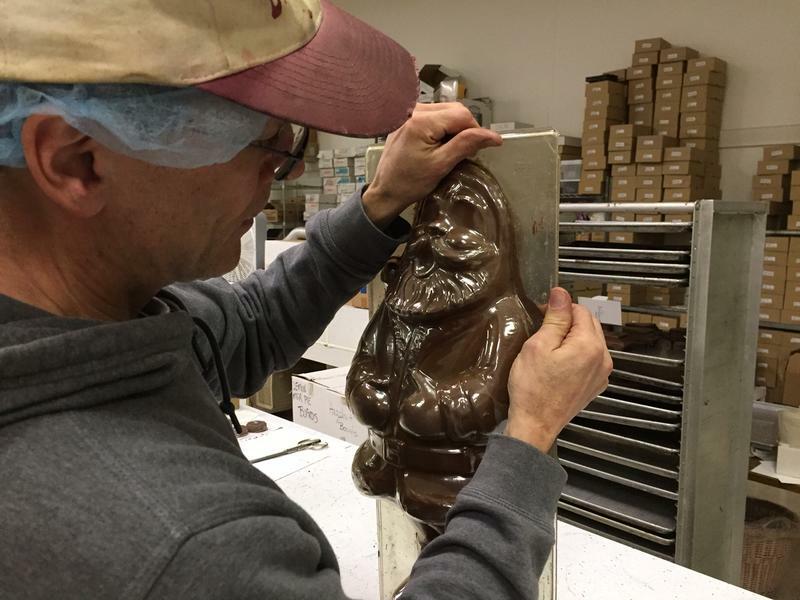 Charlie Casabona puts warm, melted milk chocolate into a 2 foot tall Santa Claus mold. 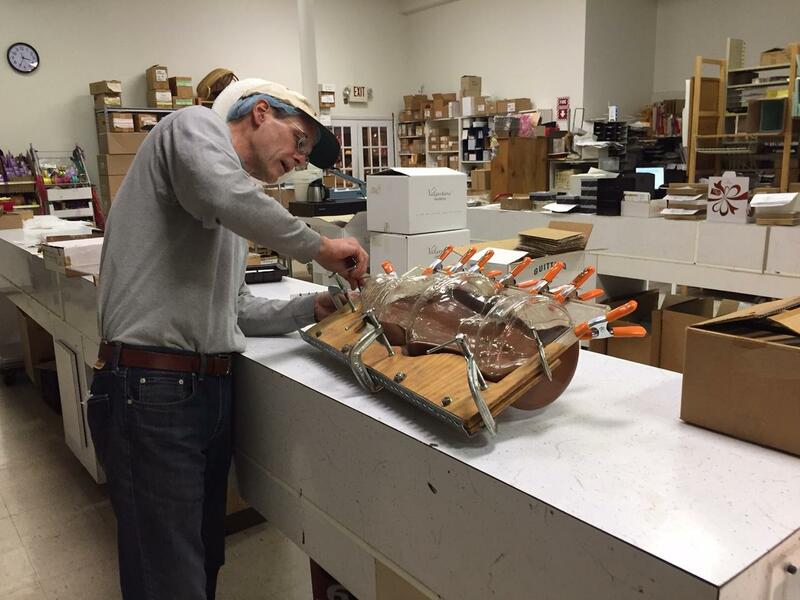 Charlie clamps the mold shut tightly, so it can be placed in a cool room and rotated for 20 minutes. This will keep the chocolate Santa hollow. 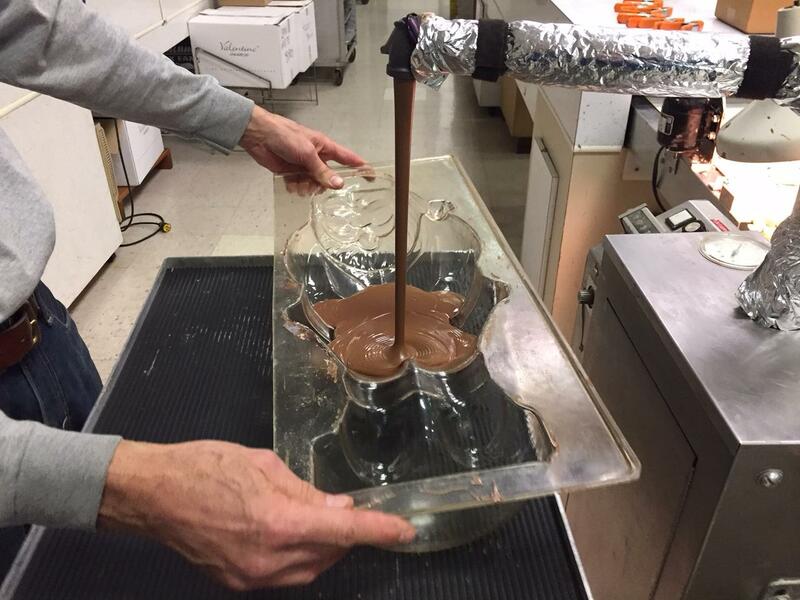 After it's cooled and hardened, the chocolate Santa is ready to come out of the mold. 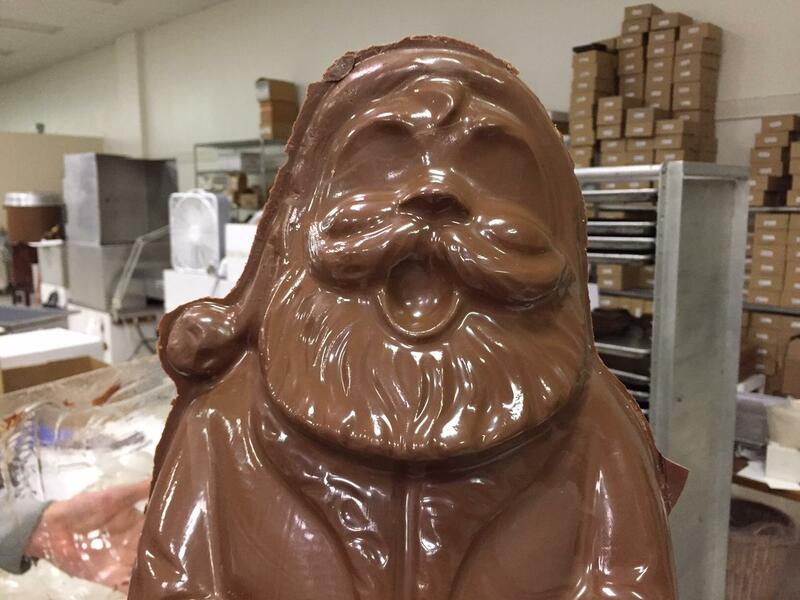 A 2 foot tall hollow, chocolate Santa Claus. 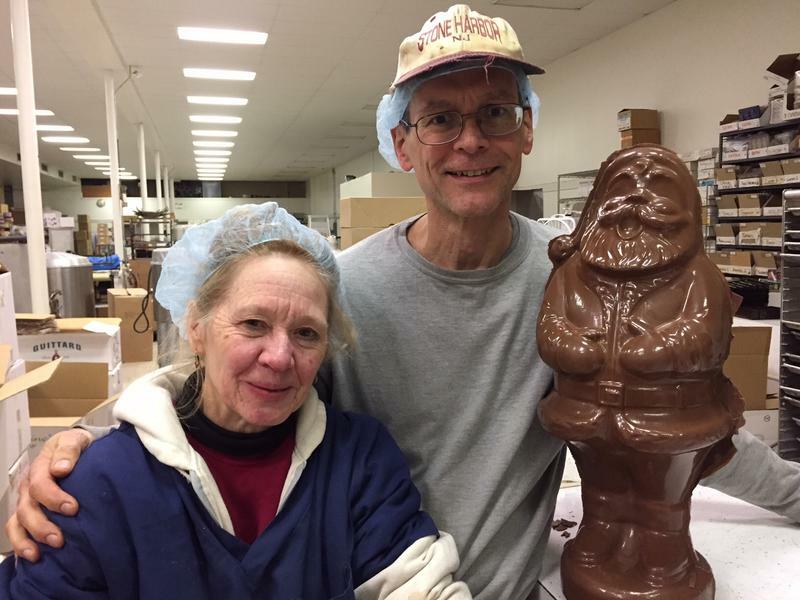 Brenda and Charlie Casabona, owners of DeFluri's Fine Chocolates in Martinsburg. 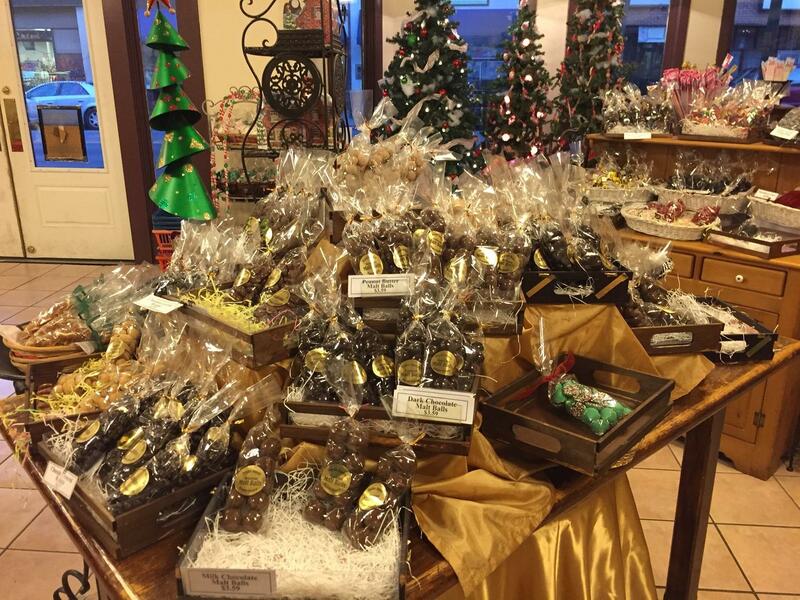 During the holiday season, DeFluri’s Fine Chocolates in Martinsburg often sees a consistent line of people looking eagerly through their large, glass candy case at the back of the store. Quality is what DeFluri’s co-owner Brenda Casabona says helps her small business compete with the mass market like Hershey's or Nestle. 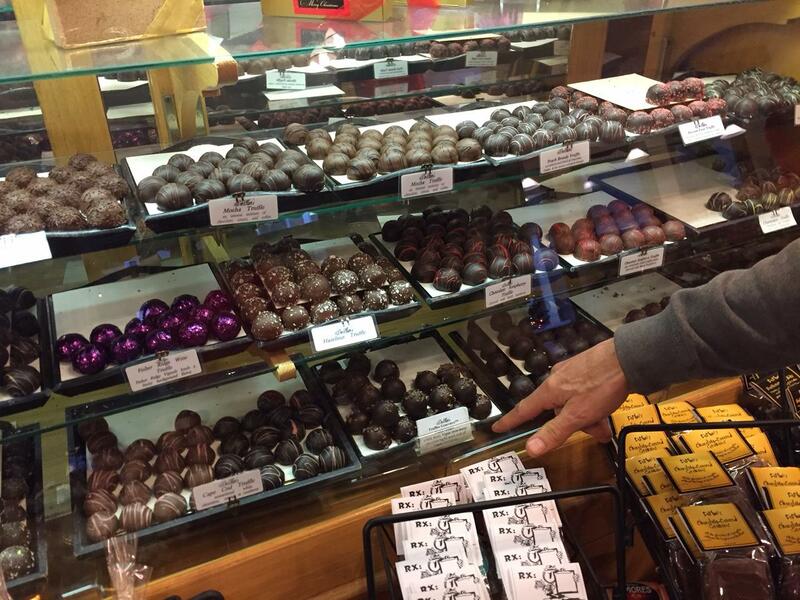 Brenda and Charlie Casabona opened DeFluri’s Fine Chocolates in downtown Martinsburg in 1998. Charlie says part of the attraction of shopping locally at a small business is the customer service and the ability to personalize products - especially at Christmas. Two conveyor belts in DeFluri's chocolate factory. Through a door in the back of the showroom is DeFluri’s own chocolate factory. 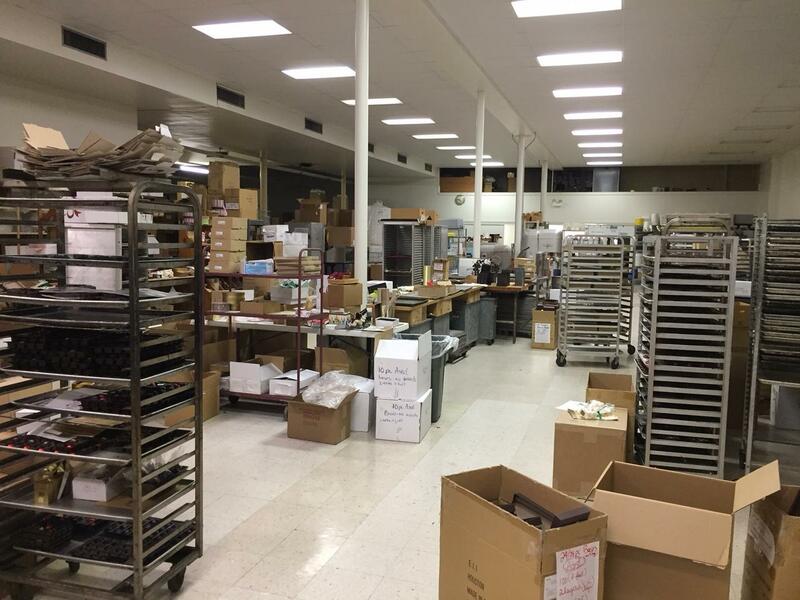 It’s one, massive 12,000 square-foot room with machines that swirl the chocolate, conveyer belts that cover the various candies with chocolate, and even an antique foil-wrapping machine. 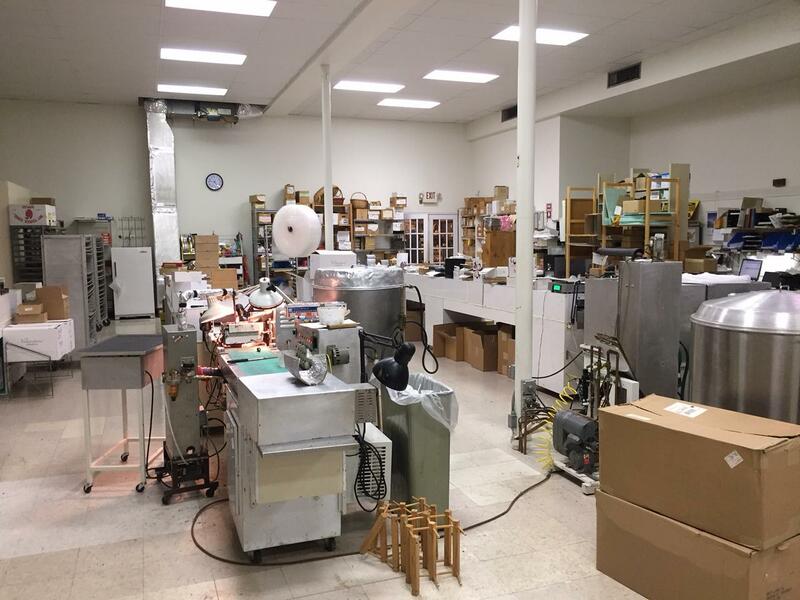 Charlie and Brenda say making and selling chocolate takes a lot of work, but it’s always worth it in the end when they see how much people love their product. 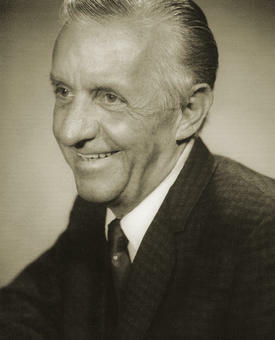 But shopping local at a small business, like DeFluri’s, has more impact than just choice and quality. Small businesses actually make up a large portion of employers in West Virginia. In fact, the West Virginia Small Business Administration, or SBA, says there are over 100,000 small businesses in the Mountain State, making up 95.6 percent of the state’s employers and 50.5 percent of West Virginia’s workforce. DeFluri's chocolate factory in the back of the building. Randy Lewis is the Executive Director of Main Street Martinsburg, which is part of a statewide initiative called Main Street West Virginia that tries to encourage people to shop more locally and revitalize communities. He says shopping local, especially during the holidays, really makes a difference. "It makes our community a sense of pride giving back, because you are supporting local jobs as well as showing support for them, so we need to keep that local economy local,” he explained." Lewis says small businesses help make West Virginia towns a destination - and being a destination often means bolstering the local economy. 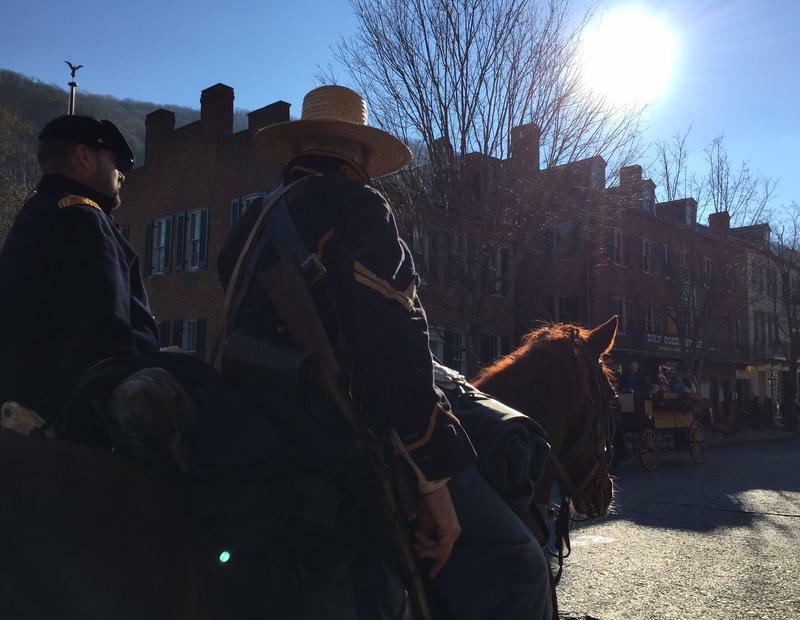 Every year, dozens of people in Harpers Ferry go back in time. In the shops and at the national park, it's 1864 all over again. 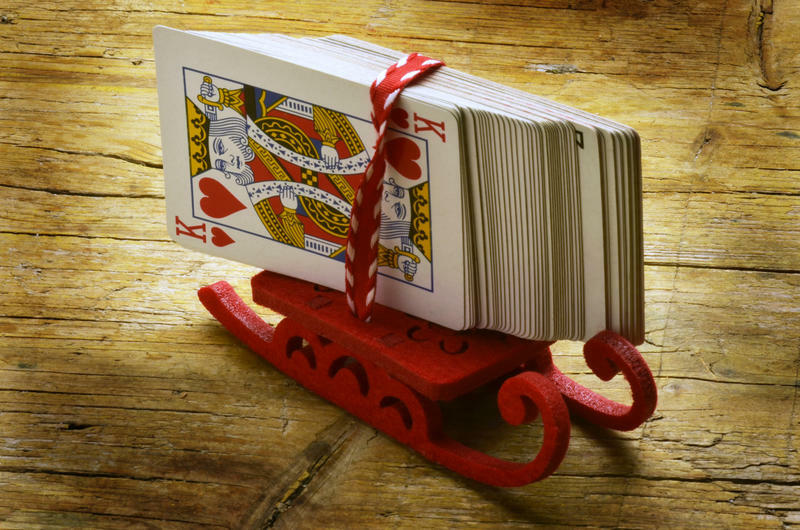 It's fun for locals and visitors to see how people in Victorian-era West Virginia celebrated Christmas. But it's also a reminder of how bittersweet it can be for people to try to find a bit of good cheer in the midst of a long and terrible war. This week's Inside Appalachia is a special holiday edition. 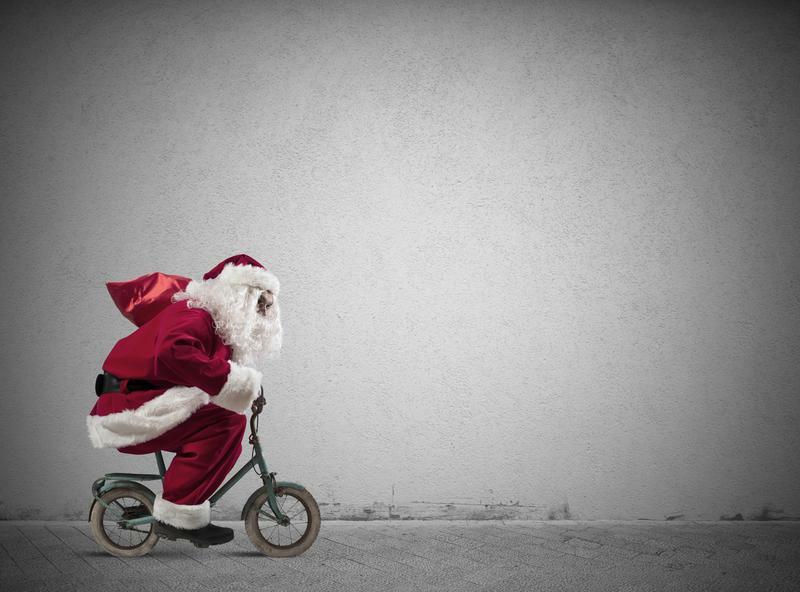 We hear stories of Christmas past, present and hope for the future. 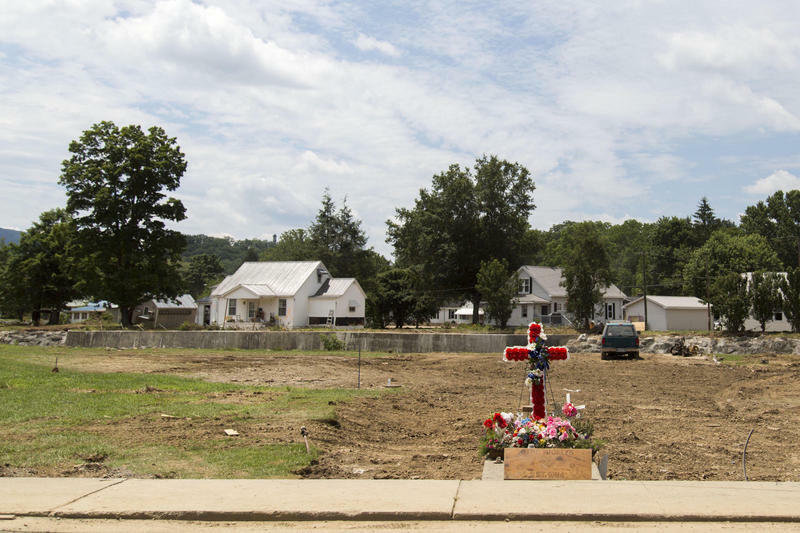 We’ll check in with West Virginians still recovering from historic flooding that hit about 6 months ago, find out how to avoid gaining weight, hear a story about a welcomed Star of David on a Christmas tree, and more.